Great for powering small RVs for longer off-grid trips, or slightly larger RVs for weekend getaways, this panel produces 90 watts at 5 amps. The weather resistant, 5-stage, 10-amp charge controller is integrated into the panel to to protect your 12-volt battery from overcharging while also providing updates on power usage in real time and over longer periods of time on its large digital display. Handcrafted in Bend, OR using the highest grade monocrystalline solar cells for optimal output, our portables are treated with anti-reflective coating to maximize light absorption. 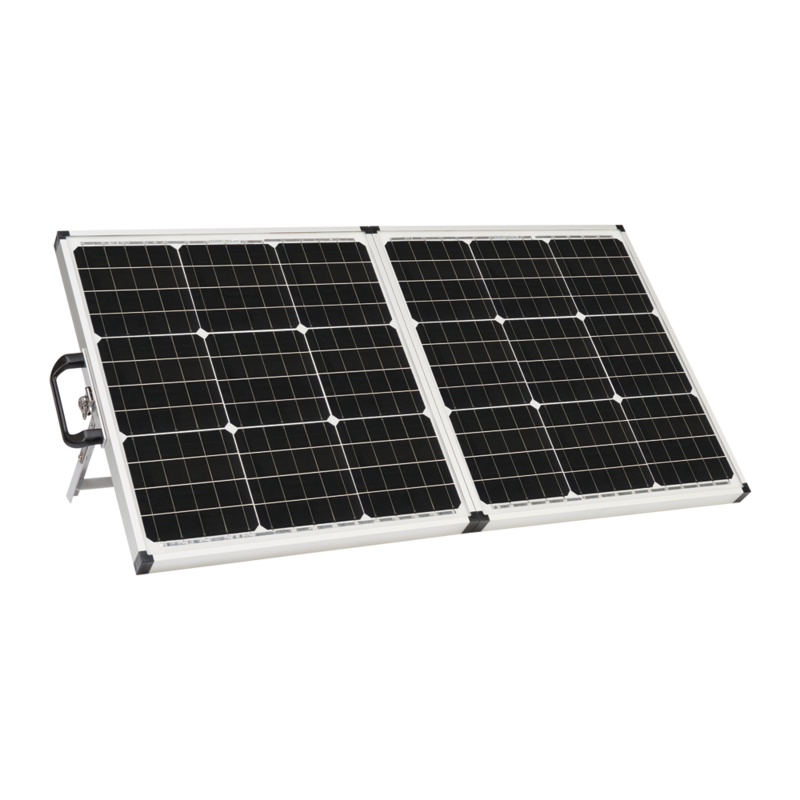 Connect your portable solar panel in one easy step - simply connect directly to the battery with the included alligator clips, or connect to a sidewall solar port using the integrated SAE plug. *Many RVs come with Zamp solar-ready ports already installed. Ask your dealer for more info. Open the panel, unfold the legs, set it in the sun, and connect to your battery. That’s it.